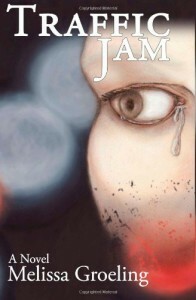 Traffic Jam is a well paced story, The story is not only believable, but educational. As we read and get engrossed we will learn about Family, Loss and Trust, all very important topics for as all. Sam is the main character, she is introduced and developed extremely well. I found myself getting right behind her, and feeling her shyness, fear and what ever. The book is full of some interesting surprises and changes throughout, making it a book you wouldn't want to put down. If you love a mystery, you'll love Traffic Jam. Watch for the end, it's not what you might think. Awesome book, Awesome Story. Whatever your age, I highly recommend this offering from Melissa. I'm looking forward to seeing more from her. Enjoy.